Local History and Genealogy Questions? Ask LaSandra! 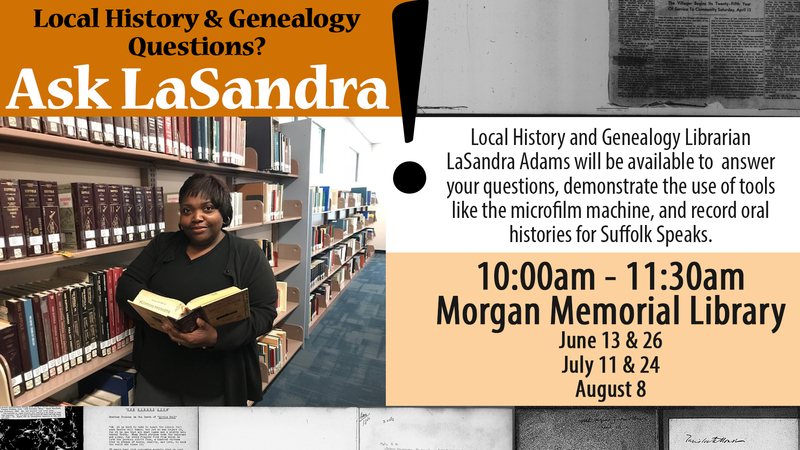 Local History and Genealogy Librarian, LaSandra Adams, will be available to answer questions, demonstrate the use of tools like the microfilm machine, and record oral histories for Suffolk Speaks.